Teri Ratz specializes in Supportive/Palliative care. Ratz received both a post-master’s certificate in advanced practice palliative nursing and an M.S. in nursing primary care adult/gerontology from the University of South Alabama. She also earned a bachelor’s in nursing from the University of Texas at Arlington and an associate’s in nursing from Connors State College. Since completing her education, Ratz worked as a registered nurse for nearly 20 years in hospice and critical care. For three years, she worked for the St. John Clinic Hospitalist Group as a palliative nurse practitioner. 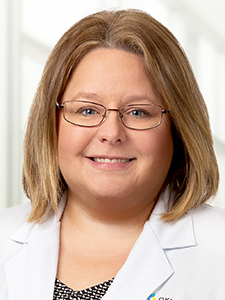 She is a member of the American Academy of Nurse Practitioners, the Oklahoma Nurse Practitioner Association and the Hospice and Palliative Nurses Association.